Next year's resurgence of the Air Jordan VII will also include the iconic 'Hare' colorway as part of the model's 23rd anniversary celebration. 2008 'Countdown Pack' Air Jordan 7 Retro. We last saw the original 'Hare' Air Jordan VII return as part of the 2008 Countdown Pack series, with a return rumored for at least the last two years. 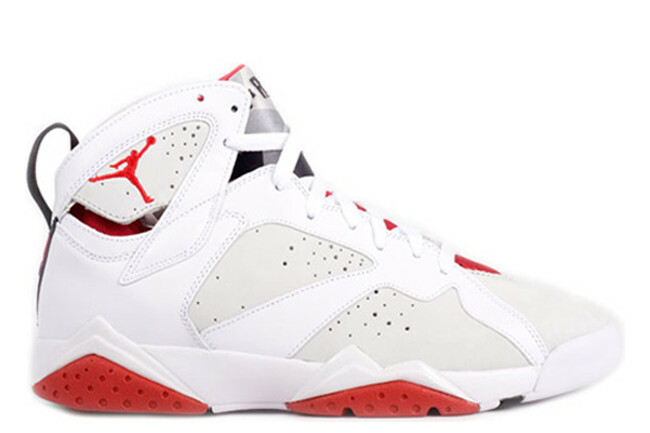 Finally confirmed to return, the "Hare' Air Jordan 7 Retro will make its 2015 return to retail in original form. 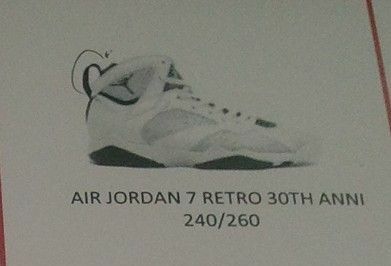 Enjoy a look at a catalog scan below, and be sure to stick with Sole Collector for official release details.